Previously we had talked about St Catherine’s Monastery, an incredible architectural specimen in Egypt’s Sinai peninsula that possibly houses the world’s oldest continuously operating library. Originally constructed on the orders of the Eastern Roman emperor Justinian I, the monastery does retain its fair share of both Roman and Greek legacies, via its coveted hoard of ancient texts and manuscripts. 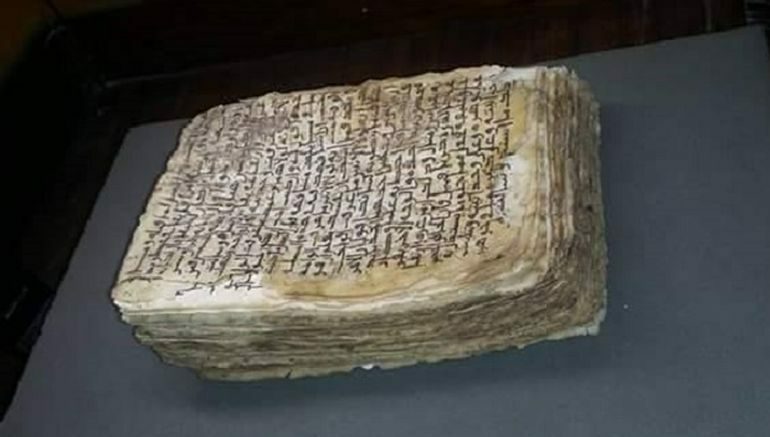 Pertaining to the latter, Egypt’s Minister of Antiquities Khaled El-Enany has recently announced the discovery of a very important medical manuscript dating from circa 6th century AD. The fascinating discovery was made during the restoration works carried out inside the almost 1500-years old monastery. According to Mohammed Abdel-Latif, Egypt’s assistant minister of antiquities for archaeological sites, the find in question relates to one of the Palmesit manuscripts. These Palmesit scrolls were written on leather and many comprised two layers for rewriting purposes due to the very high cost of leather at the time. In the case of this medical manuscript, the first layer bears a few sections of a medical recipe contrived by none other than the renowned Greek physician Hippocrates (who lived from circa 460 – circa 370 BC). This layer of the scroll is also accompanied by three other medical recipes, one of which has diagrams of medicinal herbs of the Greek recipe, penned by an anonymous scribe. As for the second layer, the manuscript contains text from the Sinaitic Bible or Codex Sinaiticus, the 4th century handwritten copy of the Greek Bible (considered as one of the best Greek texts of the New Testament). 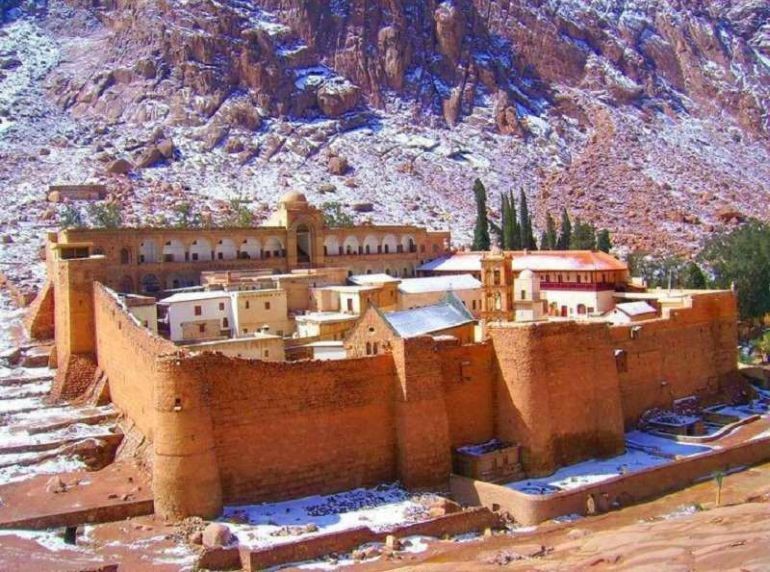 St. Catherine’s Monastery in Sinai – possibly houses the world’s oldest continuously operating library. Now interestingly enough, given the fascinating historical legacy espoused by St Catherine’s Monastery, the library is believed to have quite a few Palmesit scrolls among its impressive hoard of over 6,000 manuscripts. Around 600 of these incredible specimens are written in varied languages like Arabic, Greek, Ethiopian, Coptic, Armenian and Syriac – with their dates ranging from 4th to 17th century. 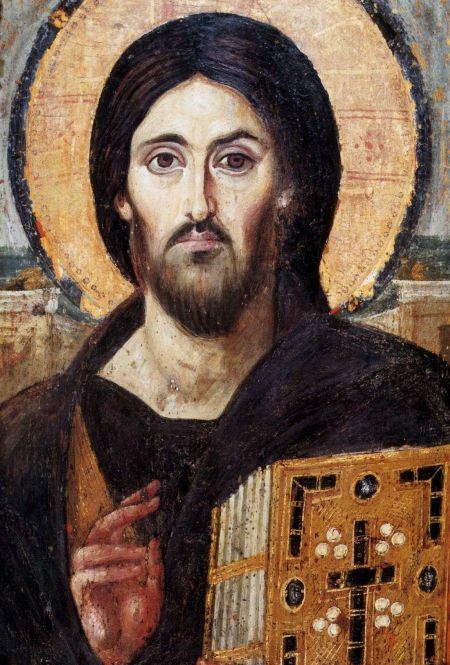 The monastery additionally boasts a myriad religion-inspired artworks and artifacts, including possibly the best collection of early icons and Crusader-style art. Since the monastery was relatively safe from the rigors of Byzantine Iconoclasm, many of these preserved icons housed here date from 5th-6th centuries, while the oldest icon on an Old Testament theme is also conserved in its original state.